PA Auditions Behind the Scenes We’re Back! This week the Providence Academy community welcomed eight new members. These eight NETters (National Evangelization Team) will lead the student body in prayer, discipleship, friendship and the faith. 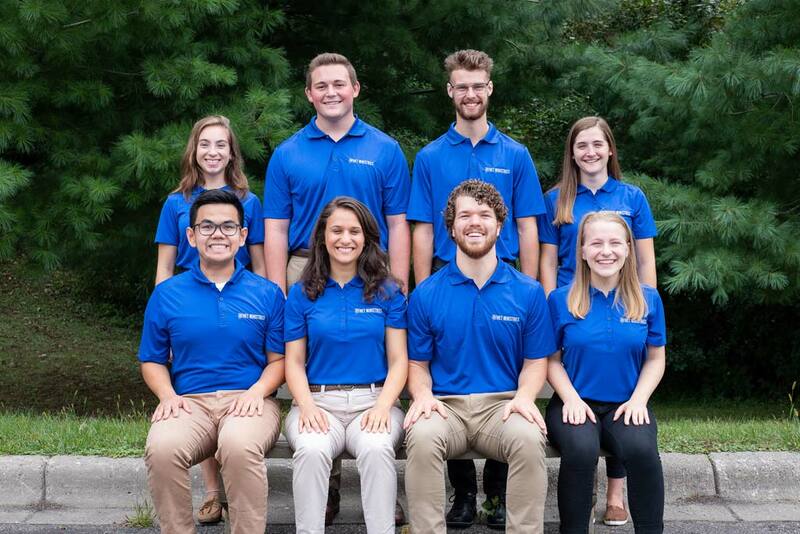 The NET Ministries website sums up their goal, to “challenge young Catholics to love Christ and embrace the life of the Church.” This year’s NETters are: Timmy Schilich, Laura Runstedler, Emily Baker, Blake Flynn, Madelyn Schiaffino, Maverick May, Erica Rohde and John Ito. The NET team is composed of a lot of different kinds of people with different interests and personalities, but who are all connected to one thing: living the faith of Jesus. Blake Flynn said one of the main reasons he wanted to be a part of NET was so that he could be surrounded by community, freedom, and joy while also working on his mission. The NET team arrived to Providence for the first time on Monday the 17th. They joked that the school looked liked a Catholic Hogwarts, but went on to say their first impression was being filled with wonder and awe that there are still people who care about the development and nourishment of the faith. Being a part of the NET team requires a lot of sacrifice and work. Through the sacrifice they are able to serve others and the community to the best of their ability. When asked what their favorite things are about being a part of the team they confessed they like the relationships that form from it and being able to see how God works through other people. The team does a lot for PA in many different ways. This year, their goal is be fully rooted in Christ through the good and bad. They want to rely on their brotherhood and sisterhood through the Lord. Everything from that will be poured out to other people. They aim to live out the faith in real time and show that the faith isn’t just something in a book that was made 2000 years ago, but rather a living and a thriving thing. Overall, the NET team is excited to start up a new year with the community at Providence Academy. “Our overall job is to just love,” they all agreed, a statement which encompasses their presence in our school perfectly. Their goals and every day examples will help Providence grow in what it finds most important; faith, knowledge and virtue.